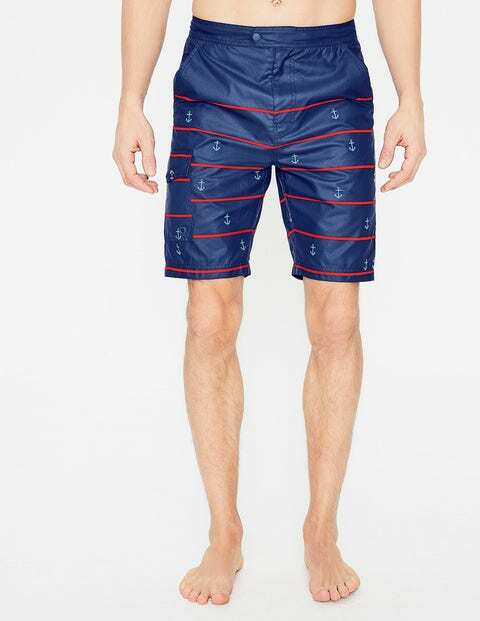 Take a dip in the morning then go straight to breakfast, all in these quick-drying board shorts. They're cut for comfort with an inner lining, functional fly and velcro fastening for extra security. Internal coin pockets are practical, while our prints, designed in-house, add a dose of fun to your holiday wardrobe.